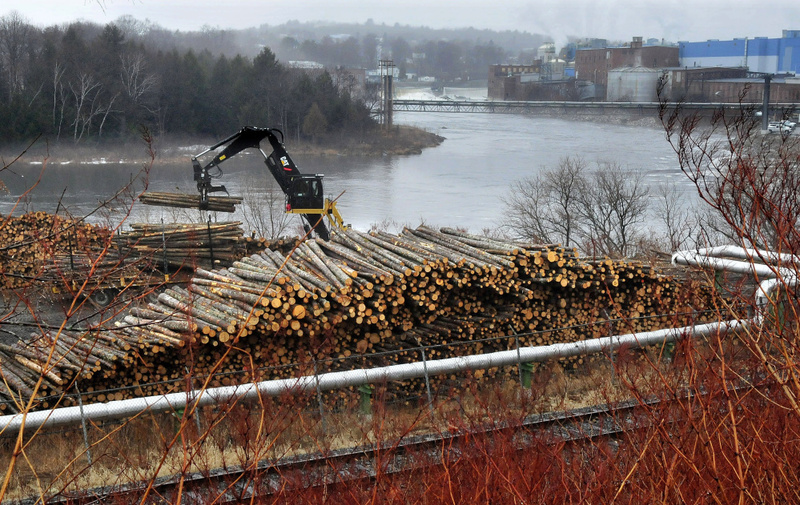 A worker unloads logs used to make paper at the Madison Paper Industries mill in Madison last month. As many as 1,000 of the state's 5,000 loggers could be out of work by summer because of decline in the demand for wood. 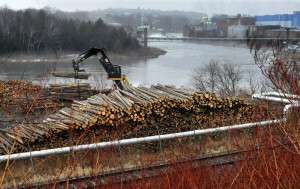 A worker unloads logs used to make paper at the Madison Paper Industries mill in Madison last month. As many as 1,000 of the state’s 5,000 loggers could be out of work by summer because of decline in the demand for wood.